A logo is one of the most significant brand awareness elements for any business. Having a recognizable and memorable logo helps in setting your brand apart. While designing coffee-themed logo designs, it’s important to look at the current trends because it is not always easy to come up with a timeless logo design. We need to be aware of the fact that a logo has an impact on how others perceive your business.Here in this post, we will be putting light on a few coffee-themed logo designs that will convey a feeling of warmth and freshness. You can also see Pizza Logos. Vintage Style Coffee Logo Template contains six simple and elegant logo designs for your next vintage project. You can use this template for creating logos, apparel designs, posters, stamps, etc. Vintage Style Coffee Logo Template is compatible with both Adobe Photoshop and Illustrator, and you will also get free fonts which will help you in carving out awesome designs. Coffee Bakery Logo Design template will help you in creating impressive logo designs for your business. Coffee Bakery Logo Design template can be used for various projects like branding, labels, and typography. This template contains fifteen vintage coffee logos, twelve vintage tea logos, and bakery logos. It is compatible with both Adobe Photoshop and Illustrator and is fully customizable to suit your design needs. 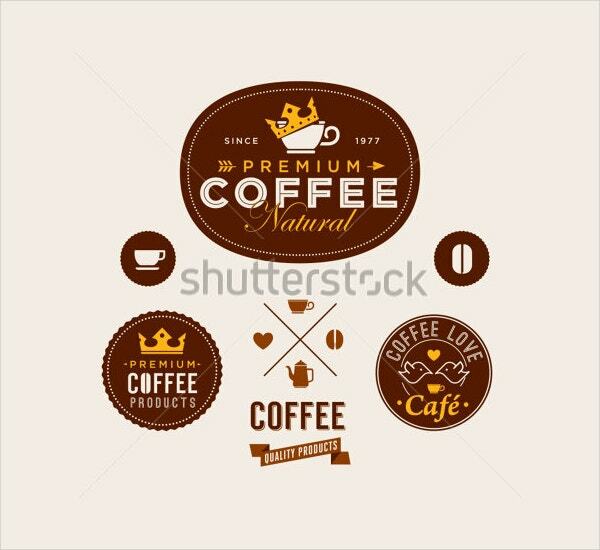 Coffee Themed Logos Stock Vector Bundle template will help you in bringing a real quality and variety to your designs. It is compatible with Adobe Photoshop and Illustrator and has files in.PSD, AI and.PNG formats which will enable you to drag and drop these elements to your designs in seconds. It is entirely customizable so that you can make any changes in them as per your preference. 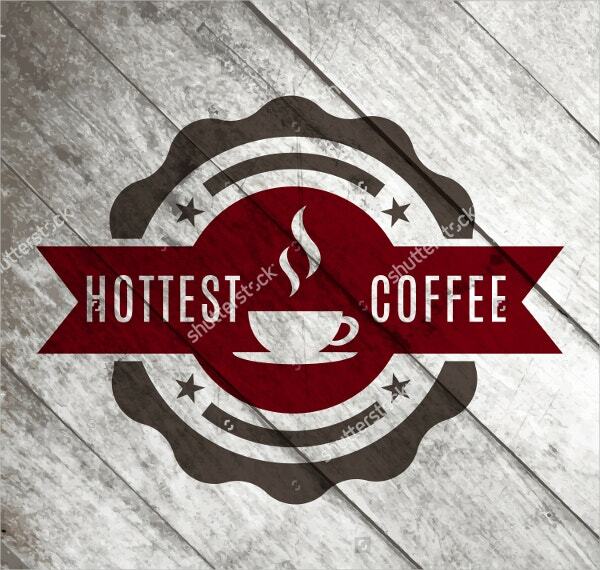 The best part about Coffe Shop Logo Design for Branding template is that it is easy to use and you will be able to edit and customize it to meet your requirements. This logo template comes in fully layered PSD files. The files are editable in Photoshop as well. The colors in the template can be altered at will. You can add other details like your company’s name, etc. Coffee Themed Dark Logo Template can be used for creating a stunning logo for your company. It certainly exudes a sense of professionalism and makes your logo look all the more stunning. Coffee Themed Dark Logo Template is fully scalable. It allows you to resize the logo to make sure it goes with your theme. Also, it has a professional touch to it. You can also see Car Logos. A company’s logo should always be bright and eye-catching. This is exactly what this Espresso Barber Shop Coffe Logo Design template demonstrates. This template would be perfect for creating a logo for any business. You will be able to edit the color schemes and the textual elements of the logo with utmost ease. Also, you will be getting fully layered PSD files along with this template. Inspiring Home Coffee Logo Template offers various design elements which will enable you to create perfect logos for your brand. This logo template comes in fully layered PSD files. So you can edit them using Adobe Photoshop. The color schemes in this template can be altered at will. You can also add other details like your company’s name, tagline, etc. Also, it contains images which come with 300 DPI. It comes with CMYK color mode too. Abstract designs like the ones this Coffee Logo Badges Bundle Download template offers, look best when it comes to designing a logo for your business. You can make edits to individual elements in the logo if you feel the need to customize it further as per your requirements. You can use this Coffee Logo Badges Bundle Download template for various logo design, apparel design, typography design, poster design, and t-shirt design projects. If you are looking for a design which will give your designs that old retro look and feel, all you need is this Vintage & Retro Coffee Vector Label template. This template would be perfect for you if you are looking for something unconventional. It is compatible with both Adobe Photoshop and Adobe Illustrator, and it offers fully layered PSD files. You will also get enough space in this logo template to add your company’s slogan in stylized fonts. Irrespective of the kind of company, a logo is essential. It creates a lasting impression in the minds of the beholder. To create a unique logo for your business, you can very well use the design templates mentioned above. We are sure these templates will inspire you to create a logo that goes well with the persona of your company. You can also see Music Logos.